Ireland could have used the enigmatic talents of Simon Zebo in Cardiff on Saturday but his unpredictability off the pitch is unlikely to see Joe Schmidt consider a U-turn. Zebo has not played for Ireland since switching from Munster to Racing 92 during the summer, which is due to an unwritten IRFU rule that means any player not called Johnny Sexton will not be selected for the national team as long as they are operating outside the provincial system. Sean O'Brien's move to London Irish will not be completed until his contract expires after the World UCp, which means the Tullow tank will be on the plane to Japan (provided his form improves and he stays injury free). 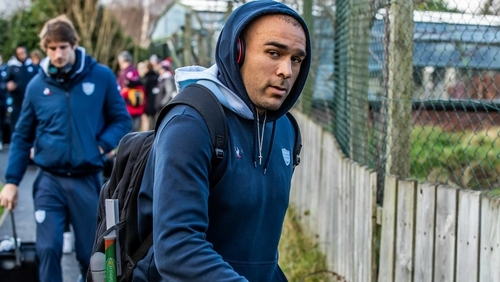 However Zebo, despite being one of the form players with Heineken Champions Cup dark horses Racing 92, will not be considered by Schmidt - even if his brand of elusive running is exactly what Ireland are lacking their backline. He was unlikely to make any Schmidt long list regardless, but his quickly-deleted tweet after Ireland's comprehensive defeat to Grand Slam champions Wales will go down with the New Zealander like a botched power play. The Corkonian tweeted fellow exile, Bristol out-half Ian Madigan asking him if there was "any craic?" The last of his 35 Tests came against Japan. His chances of earning another Ireland cap in the Far East this autumn seem even slimmer this evening.